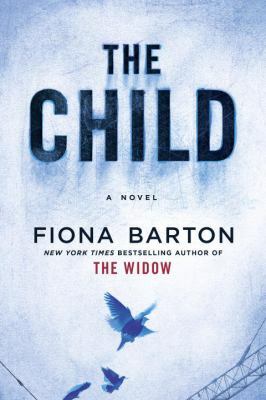 In The Child by Fiona Barton, Barton weaves a twisting tale of psychological suspense that will rip through your senses as you try to figure out what is happening. Have you ever wondered what happens when old houses are demolished? What if they discover something hidden in the ground? Hidden in the walls? What of the secrets that are uncovered? The Child begins with the discovery of a tiny skeleton during the demolition of an old house in London. Journalist Kate Waters stumbles upon this story and decides to dig deeper into what happened to the child. Piecing together what information she can gather, Waters is continuously left with more and more questions with the chief one being: who is the building site baby? Forced to work with a young male intern, Kate is able to convince her boss, Terry, that she needs to investigate. Angela is a grieving mother who is struggling to comes to terms with a devastating event that tore her family apart almost forty years ago. Her family is trying to help Angela move on with her life, but they are just as torn up as she is. Emma is a young wife who is going through some major anxiety. She is having trouble just living her life, much to the chagrin of her husband who is trying to help her however he can. Emma’s issues seem to stem from her past. She was raised by her single mother, Jude. The two have a strained relationship that will leave readers wondering what exactly happened between the two to cause such dislike. Angela, Emma, and Jude all have some interest in the building site baby. Kate’s investigation into what happened to the baby elicits a different reaction from each woman. Kate finds herself going back to the building site and visiting each house to try to track down someone who knows something about the baby. The more she investigates, the more secrets and connections Kate digs up. Kate finds herself becoming a keeper of Angela, Emma, and Jude’s secrets. Her journey to find out what happened to the building site baby evolves into a much larger conspiracy that consumes Kate’s life, but leaves her hesitant about what she can and cannot disclose to the authorities.